Berlin - The Confederation of African Football (CAF) will allow Tunisia to enter the 2017 Africa Cup of Nations (AFCON) after its football association (FTF) apologised for claiming the CAF had shown bias, the governing body said on Tuesday. But the CAF rejected Tunisia's appeal against a $50 000 fine for the violent behaviour of players in a controversial quarter-final defeat to 2015 Africa Cup of Nations hosts Equatorial Guinea earlier this year. Tunisia players attacked the referee for awarding a late penalty against them in the game and it was this decision which led to the FTF making the accusation of favouritism. 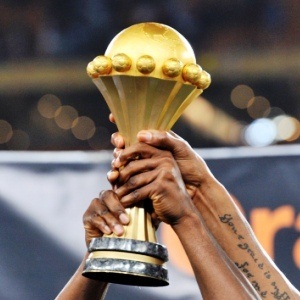 The AFCON organising committee responded by threatening Tunisia with expulsion from the 2017 tournament, which begins with first qualifiers in June, if it did not apologise for the allegation by March 31. It did so at a meeting in Dakar on March 13. "The (CAF) appeal board noted the great dignity of the intervention of the Tunisian Football Federation during that hearing," the governing body said in a statement. "The appeal board noted that during the deliberations, the Tunisian Federation began its presentation with a formal apology." In addition to the fine for violent behaviour, the FTF will also pay for damage caused to a dressing room after the loss to Equatorial Guinea.